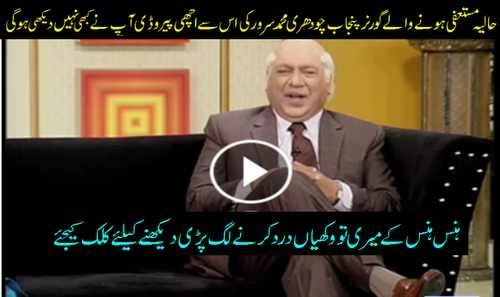 Watch Dunya TV Hasb-E-Haal Latest Episode 1st February 2015, Azizi as Chaudhry Muhammad Sarwar, Discussion on different news, discussion funny pictures & videos, discussion on Aam party election victory in India and their comparison with PTI and Interview of "Chaudhry Muhammad Sarwar" as azizi. Hasb-e-Haal is the infotainment program broadcast by Dunya TV Pakistan which is widely watched in local and international community of Pakistani's. Watch Hasb-e-Haal with Najia Baig, Sohail Ahmed as Azizi and Junaid Saleem.